Google has confirmed that they ran a refresh to the Panda algorithm on 21st November, 2012 that will affect 0.8% of search queries in English. 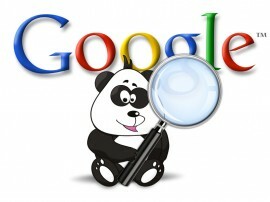 This Google update is #22 in a series of Panda algorithm updates, which was initiated in the spring of the year 2011. The last update took place on November 5th and apparently impacted about 1.1% of English queries. The ultimate goal of this update is to offer quality and reduce spam levels in the search engine results. Post this recent update, a large number of professionals have reported that they have experienced an improvements in their visitor traffic, while some have experienced a drop. Hope the impact of this update not be as stern as of the Panda #20 that affected 2.4 % of English Queries, which created a disastrous stir in website traffic. The last Google update #21 was confirmed in the month of November, affecting ~ 1.1% of English queries and was also a tranquil one in comparison to the #20 updates. While performing a research into what the search engine results were shown for a number of brands, both locally and globally known, it looks like there has been a great quantity of power shift when it comes to brand terms, apparently supporting better brand protection for companies. We are still resolute to find out what this update has targeted, but with the search engine results showcasing some very dubious sites on a few particular keyword terms, we are still exploring what potential aims the update had apart from empowering brands. The finest means to fight with Google panda is time and mind, the more research you do better the content becomes. You must make sure to include one or more internal link to your post, which will reduce bounce rate of your website.